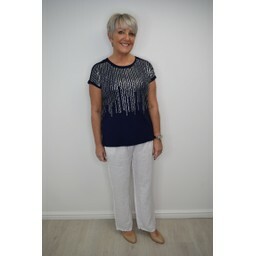 Sophie Sequin Spot Top is an oversized top edged with sequins. It has a round neck and short sleeves an great easy to wear piece. Wash at 30 degree. Do not tumble dry.